Now is the time to start purchasing air conditioning units. It may sound strange because the temps may not have reached 50 degrees where you live. But air conditioners are seasonal products and the prices tend to jump in the warmer months and you may not see as many choices as you would in the off-season. You may have to purchase your air conditioner online to save you some money but it will be well worth it. LG is one of the most popular name brands on the market today. They have a wide variety of styles or air conditioning units. We have put together a short list of some of the most popular air conditioners from LG. You can read a bit about them and you can start shopping and comparing these units with other name brands and prices. 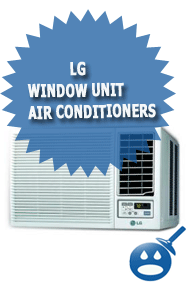 The LG 7,000 BTU Heat/Cool Window Air Conditioner With Remote is one of the best air conditioners in the LG inventory. These window units are perfect for cooling small to medium size rooms in minutes. The LG 7,000 unit uses 6.6 amps so your electric bills won’t go through the roof. The unit comes in white and will fit in most standard size windows. It comes with a remote control so you can put the air on only when you want. This feature will save you money in the long run. The LG 7,000 BTU Heat/Cool Window Air Conditioner With Remote is not an Energy Star Rated unit and it is not ADA compliant either. But that doesn’t mean that this unit is not perfect for a bedroom or perhaps a small living room. This unit measures in a 20.688 inches in depth and 13.876 inches in height. The cost of this air conditioning unit is about $ 399.00. LG 12,000 BTU Heat/Cool Window Air Conditioner With Remote is a window style air conditioner unit that would work well with medium or larger size room. The unit has a remote control system that allows you to save money as you decide what temperature when the unit goes on. These units are very energy efficient and they are cost effective. The LG 12,000 works on 5.8 amperage so that you won’t use a lot of electricity to run this model. The LG 12,000 BTU model is available in white and is lightweight for an air conditioning unit; it weighs about 87 pounds and measures in at 22.167 inches for depth and 23.623 inches in width. This unit costs about $499.00. 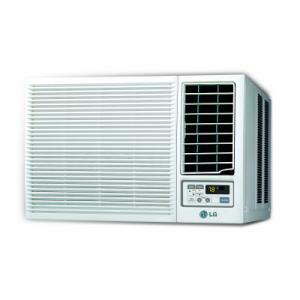 The LG 18,000 Heat/Cool Window Air Conditioner With Remote is one of the LG lines premier air conditioning units. 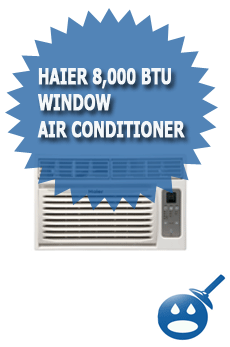 This model is a window unit with 9.0 amperage. This unit has a remote control that allows you to set the unit to the temperature that you want at the time that you want. By using this remote control it could save you a lot of money. No more wasted air conditioning when no one is home. The LG 18,000 BTU Heat/Cool Window Air Conditioner With Remote measures in at 26.531 inches in depth and 26.00 inches in width. The unit is compact and weighs about 120 pounds. The LG 18,000 BTU Heat/Cool Window Air Conditioner With Remote is not Energy Star Rated or Energy Star Compliant. This unit is reliable and made to last more than just a few years like other units do. This unit costs about $599.00. 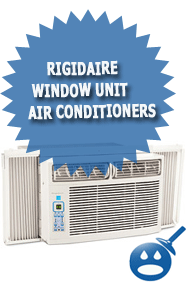 Now is the time to start shopping around, you may have to buy your air conditioner online to get the best price. Also, being that it is not summer yet, you won’t find too many air conditioners in the stores right now. Places online like Wal-Mart and Home Depot are the best places to shop. If you are looking to save yourself money, start shopping today. I am looking for a window ac compatible to size of my window. Actually, its not a window but a ventilator whose size is 24″X12″, where I need to fix the AC. Can u please tell if any a window ac of this size or smaller to it, which can easily be fit on this size of window.Please keep in mind that the size of the window is 24″ by length and 12″ by height. Please reply, as I truly need the information regarding this as soon as possible. I am looking for a condensor for my LG Window room Air Conditioner. The present one cooling fins on the bottom 4 tube are corroded away and needs replacement. The rest of the unit is still in fine condition.The unit is a LWG1264BAG , SERIAL # 209KA00285.